Yoga is a popular exercise routine that millions of people all over the world enjoy. Not all of them enjoy doing their exercises in public which makes yoga DVD’s a popular alternative. Doing your yoga poses at home can help create that peaceful atmosphere yoga students are looking for and can also help to promote weight loss and a good cardio workout. Here are some of the best yoga DVD’s that help you get a great workout and learn to relax and de-stress at home. Rodney Yee’s Complete Yoga for Beginner’s has four segments and teaches beginners how to pose correctly and avoid common beginner mistakes. The segments are structured into 20 minutes workouts that can be done either in the morning or at night. Elements of Yoga: Air and Water with Tara Lee is great for beginners and professional and focuses on flexibility and fluid movements. It’s has easy to follow 20 minute routines that can be done by themselves or together. In comparison, 7 Beginning Yoga Practices for Mid-life is gentle yoga focusing on students between the ages of 40 and 70. 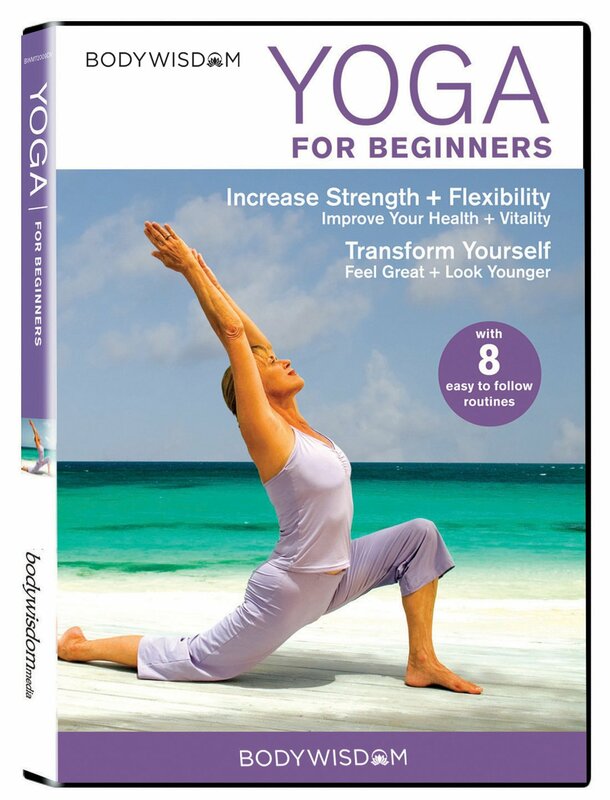 It is a beginner level yoga DVD that focuses on balance and relieving stress. Yoga for Beginners is another great beginning yoga DVD that shows proper alignment and form techniques. It doesn’t have great flow but it is a versatile DVD that gives you several routines from several instructors to choose from. 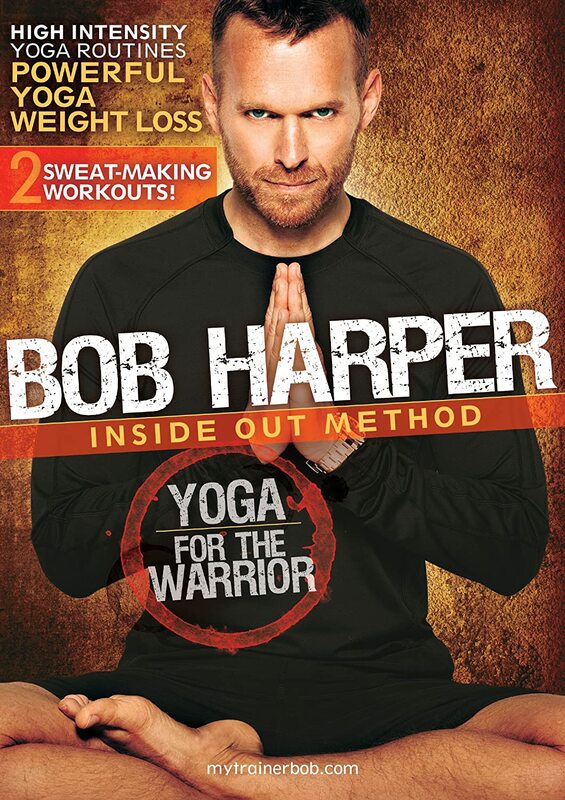 Yoga for the Warrior is the opposite of the beginner DVD’s as it includes intense workouts that focus on physique refining that trains all your body’s muscle groups. 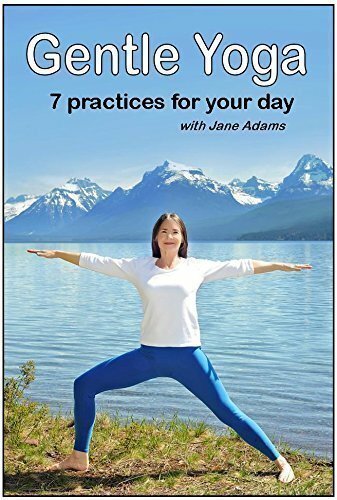 This DVD is suited for intermediate and experienced yoga students. 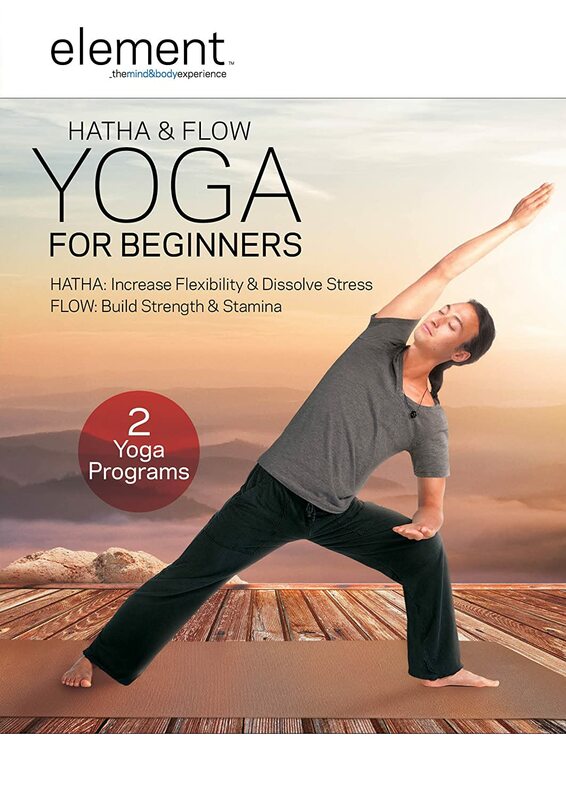 Hatha & Flow Yoga for Beginners is a tranquil workout DVD that will give you great relaxation and stress relieving results. It’s a little harder than a beginner level but it has easy to follow twenty minute routines that will help students learn peaceful meditation and loosen any tightness.A.M. Yoga for Your Week is a great instructional video for students at all levels. It includes both limited and detailed instruction and includes a variety of new workouts. Jillian Michael’s Yoga Meltdown is similar to a cardio workout so it is not for students that are looking for a peaceful and relaxing workout. It promises quick weight loss results and uses intense yoga power poses that are great routines for students that prefer a fast pace or for advanced athletes. 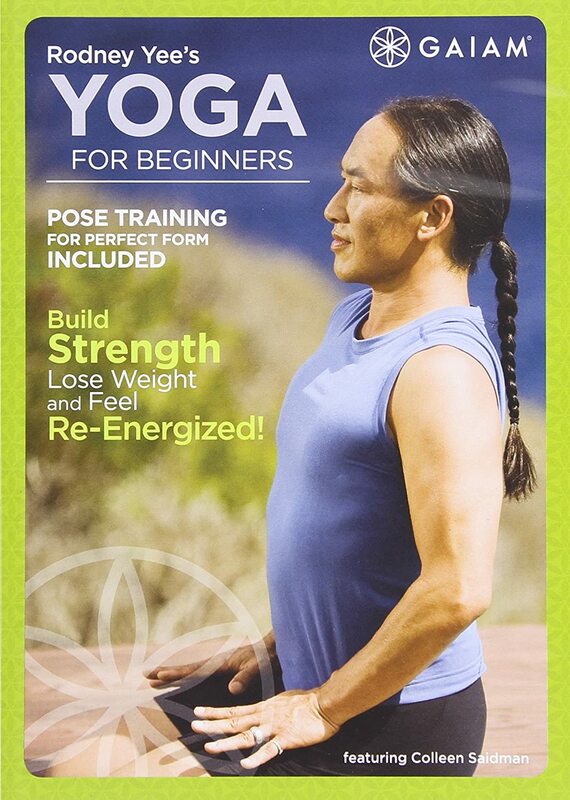 Rodney Yee’s Yoga for Beginners is a well narrated DVD that includes two yoga workouts geared towards beginners. It includes a training session on proper body alignment and flexibility to make sure new students do the poses properly and don’t hurt themselves. Similar to Jillian Michaels Yoga Meltdown, The Biggest Loser The Workout Weight Loss Yoga promises quick weight loss with high energy yoga routines. It’s a fun yoga DVD that shows people of all sizes and weights enjoying their workout and includes instruction on doing the poses properly. The Rodney Yee’s Complete Yoga for Beginner’s DVD is great for inexperienced yoga students. The Complete Yoga for Beginner’s is a great way to learn the many benefits of yoga and not put your health at risk. It’s a great product for beginners and is very popular among novices. The DVD is structured in a straightforward and easy to follow plan that a lot of yoga fans love. In one section, Rodney Yee demonstrates simple poses that will help to improve your form and body motion. Other sections help you to learn how to relax and calm your body and mind through yoga. You also learn body flexibility and how to increase your flexibility and speed over time. All the exercises on the DVD are structured twenty minute workout sessions that can be done either in the morning or at night. This is a great workout that will help you improve your flexibility and your ability to move in a fluid movement with breath. This DVD enables you to develop space and tranquility in your body without hiring a personal trainer or spending a lot on a gym membership. 18-minute morning workout that focuses on standing exercises that energize and awaken the body. 19-minute mid-relief workout that includes exercises for desk and computer workers. 29-minute relaxing workout to be done in the evening with exercises that focus on helping students to relax and sleep well. All workouts include clear instructions that are demonstrated by the instructor to help further the students practice of the movements. Yoga for Beginners includes a serene backdrop of various gorgeous beaches from around the world including Half-Moon Bay and Antigua that adds to the relaxation of the routines. Deliver strong weight loss results for those that are trying to trim body fatThe Yoga for the Warrior DVD is not for beginners but is best for those that are intermediate or experienced yoga students. The DVD features a tranquil background of the Pacific Ocean with a straightforward and easy to follow 30 minute workout segments. 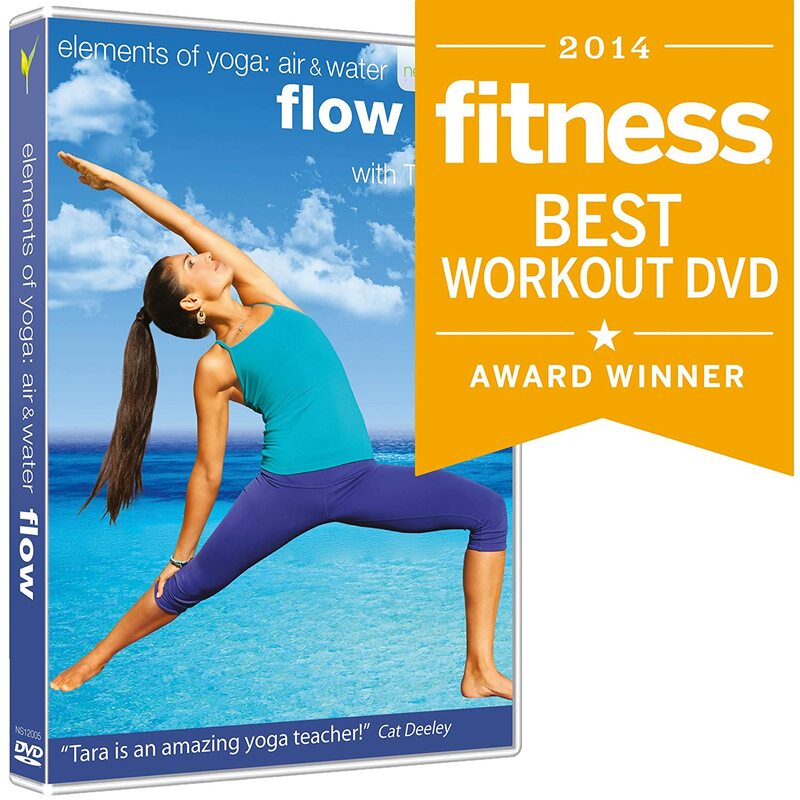 The DVD includes comprehensive guides that reduce any stress from your yoga routine. It’s an affordable yoga DVD that will give you good results. It’s not five morning routines for the entire week but each routine focuses on different poses like standing poses, lying poses etc. Jillian Michaels Yoga Meltdown is a well-designed and narrated DVD by award-winning trainer, Jillian Michaels. Jillian Michaels: Yoga Meltdown has been featured on several TV shows and mixes vigorous movements with intense yoga power poses. There are two thirty minute workouts at two different levels that promise quick weight loss results. The DVD also features segments with warm-up and cool-down exercises plus an adrenaline-packed boot camp-like narration that many yoga students will find priceless. This is an affordable DVD and is straightforward and easy to use for students of all skill levels. The Biggest Loser The Workout Weight Loss Yoga is a great DVD for those looking to lose weight. It is also perfect for those looking for an affordable workout that enjoy yoga. This is a well-designed DVD was put together by Bon Harper that guarantees that you will lose weight in about six to eight weeks. It has 55 minute workouts that include five minute warm-up and cool-down segments. All segments are detailed and are fun to use. Are you wanting to lose weight or get in better shape but don’t want to join a gym? You’re not alone. Thousands of people prefer working out and losing weight in their own homes in front of their televisions. Fitness DVD’s can be an extremely effective workout if you stay with the program. Often, these programs are fronted by a celebrity that may make you question the actual value of the workout you are about to receive. Don’t worry though, the workouts the celebrities are presenting have actually been designed by professional trainers and should give you the maximum results you want. Workout DVD’s are usually divided into several different sections and a yoga DVD is no different. You will receive several different yoga routines on one DVD. You should also receive some warm-up and cool-down exercises outside of the main routines to help your body use the workouts effectively. The routines should also flow well and avoid choppy segments. Yoga is about flowing from one pose to another. Workouts that move from varying poses and exercises without flow are hard to follow. Yoga DVD’s will either be centered on a specific skill level or try to encompass all skill levels at once. A lot of yoga DVD’s are focuses on the beginning yoga student and these DVD’s should include good instruction on how to do the poses correctly without hurting yourself. Other DVD’s will focus on gentle yoga which is meant for older students or those that have physical limitations that cannot do the more rigorous routines. Power yoga DVD’s are for advanced students and for those that want to lose weight and are not for those students looking for a relaxing and stress free routine. Efficiency – Yoga is all about using your body weight to strengthen your body so there is no need for weights. Exercises should be focused on engaging your core and flowing from pose to pose. Routines should focus on raising your heartbeat, strengthening muscles as well as lengthening them. Can be used as Cardio – Adding certain poses like sun salutation and flowing your poses at a good, steady pace can increase your heartrate and give you a good cardio workout. DVD’s should be affordable – One of the benefits is the DVD is saving your money from the gym or yoga studio. There are plenty of good yoga DVD’s at affordable prices if you look. Can be done anywhere – You should be able to use your yoga DVD at home, on vacation, in the office or on the road. The flexibility of where you can do you workouts is a serious plus. Yoga can help you lose weight – If you are looking for the weight loss benefit, look for yoga DVD’s that have routines focused it. There are plenty that will give you a great workout using the best possible poses and routines to burn calories and shed pounds. Variety – A good yoga DVD will give you several workouts so that you have a variety of routines to get you through the week. It should also include warm-ups and cool-downs too. Safety first – A good yoga DVD will instruct you on how to do the poses correctly so you do not hurt yourself and also be proactive in the routines to make sure you don’t overextend and hurt yourself. The winner of the Yoga DVD Roundup is The Biggest Loser The Workout Weight Loss Yoga. This is an affordable yoga DVD that is great for yoga students of all levels. It’s a fun DVD to use and provides an effective workout that includes instruction for those beginning students who have never had a yoga class to make sure they are in the poses correctly. It has several 55 minutes workouts and also includes warm-ups and cool-downs. The segments are all detailed and fun to work out to. The best part is that they use people in the video of all weights and sizes so you feel like you are a part of the group. 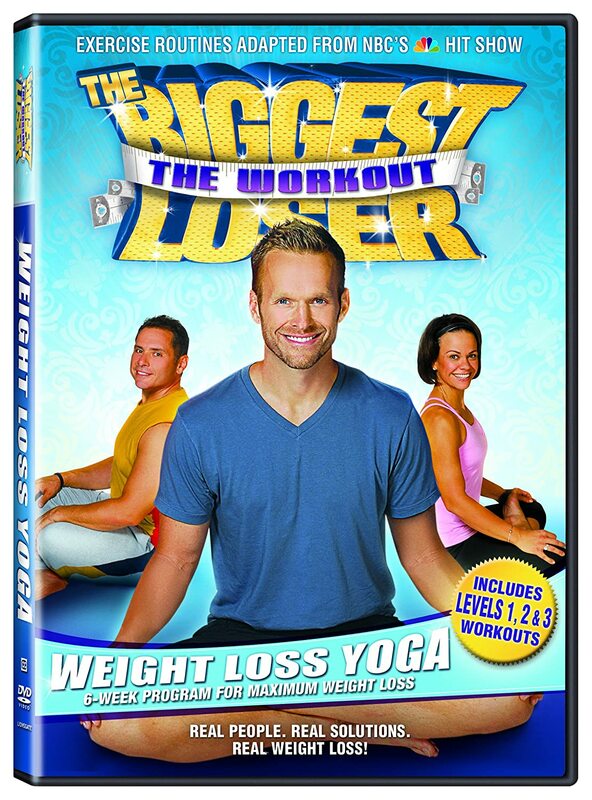 The winner of the Yoga DVD Roundup is The Biggest Loser The Workout Weight Loss Yoga, hands down.